But how was Bond able to land on a moving train in a perfectly tailored bespoke suit? I and my colleague from Daily News Supplements spoke with Namal Balachandra, Sri Lanka’s Menswear Fashion Icon and an undisputed authority in his chosen sphere of expertise, about it. Namal’s views are an eye-opener. James Bond’s ‘full bespoke’ suit was cut and fitted by the same person, made by hand either in a workroom on the premises or a location situated nearby. His suit was a one off creation and mass production methods didn’t have any place in the world of bespoke suits in James Bond’s wardrobe. In the same vein bespoke menswear designed and developed by Wills Designs Private Limited carries the same hall mark of excellence although done in Sri Lanka and not in UK. Q. Wills Designs speaks volumes of exceptional craftsmanship and today there isn’t any reality show in the country that doesn’t have wills designs backing them with their design aesthetic and bespoke tailoring prowess. How did you bring your profession to such dizzy heights? A. People of Sri Lanka habitually rely on readymade garments and even go abroad especially to countries like Singapore to stitch full suits simply because the country doesn’t have bespoke tailors. This trend came to a grinding halt when Wills Designs opened the sluice gates of our couture acumen and bespoke tailoring skills to the general public, decades ago. We were able to expand our network of menswear design studios purely because of the comprehensive bespoke tailoring training we offer our staff to make them specialists in their own right. These young professionals are proud and satisfied of their new status as fashion design experts. Reality show producers in the country know about us and have discovered our staff to have a passion for fashion supported by a well rounded education that includes in-depth knowledge in sewing techniques, history of dress making, fabric and textiles, and computer-aided design (CAD). Q. Wills Designs are famous not only for bespoke clothing but also for affordability. How is it that you are able to offer cut-above-the-rest full suits while not compromising on quality? A. Looking for the right fabrics and materials is a very important part of a designer’s life. We specialize in materials sourced from Italy, Japan and Singapore, materials that are slightly heavier than those that are typically used in ready to wear garments. We recommend this extra weight both for the finish and drape of the garment and also for durability, which combined with our method of fully canvassing the garment fronts leads to our reputation of tailoring garments that maintain their shape and give lasting service. From selecting the material and discussing the style, then seeing your suit take shape as it is fitted to you at various stages of construction, Wills designs offer a fully bespoke service delivered to you by expert dress designers, cutters to name a few with many years experience and pride in our brand. 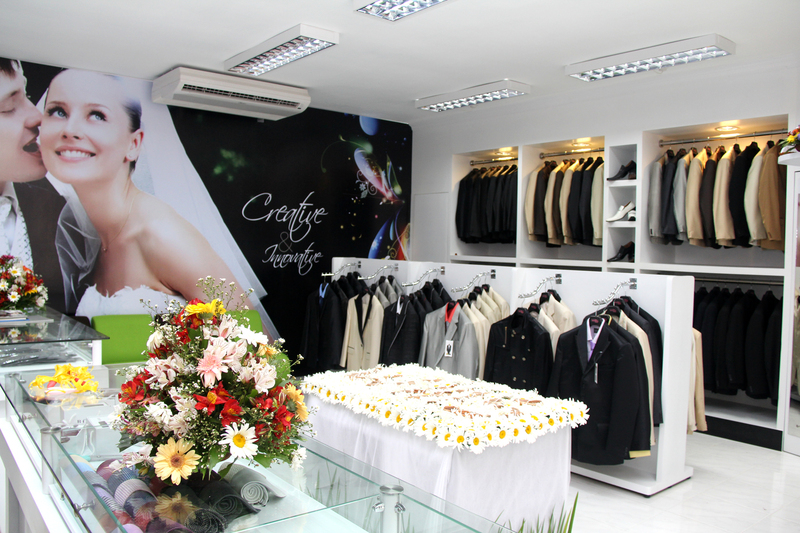 That is how we are able to offer first class suits with quality material and tailoring at fair prices. Q. At a time when tailoring was confined to rickety old men clad in sarong and walking down narrow, dimly lit and polluted alleyways in Pettah, you through Wills Designs changed all this and today tailoring is a respected profession fetching a high demand not only in Sri Lanka but also abroad. How were you able to bring about this incredible change? A. It all happened when I couldn’t find a suitable replacement for an old hand who left our company after long service. I felt it was an opportune time to start a “Fashion Design & Tailoring Art School in my factory premises at Panadura. We have 3 month and 6 month craft courses and students who excel in final examinations, in addition to a certificate of competence from us also get ready employment in our establishement. My vision is to win the world for Sri Lanka not only through garments but also through young and educated bespoke tailors trained by us. Q. Wills Designed menswear are very popular amongst young people, according to your opinion, what is it that makes them come after these designer brands? A. Our tailor made suits are individually hand-crafted garments, made to your exact body shape and unique styling requirements. Tailor made is a much better option than buying off-the-rack, giving you superb choice and convenience – without the high price tag. Unlike others, at Wills Designs all our made to measure suits are cut from a pattern designed uniquely for you – a technique only the finest tailor’s use. You’ll be pleasantly surprised by our attentive service and the quality of materials used. We offer a large range of luxurious and durable wool fabrics from internationally renowned mills in England and Italy. So whether it is for business or pleasure, you’re sure to look and feel your confident and comfortable best in your new made to measure suit from Wills Designs. In case you’re slightly confused about your options, the phrase “bespoke suits” is often and incorrectly used interchangeably with custom tailored suits, tailor made suits and made-to-measure suits. The difference is that a bespoke suit must be cut to a unique pattern designed from your measurements, will allow you to style the suit in any fashion you like and usually includes multiple fittings. Tailor made suits and custom made suits are similar, however made-to-measure suits often refer to suits made from the same base pattern and structure and thus are not uniquely designed for you. At Wills Design, we offer a “bespoke service” with all of our suits cut from uniquely made patterns. We do however limit the number of styling options and fittings to make the process simpler and keep the price reasonable.